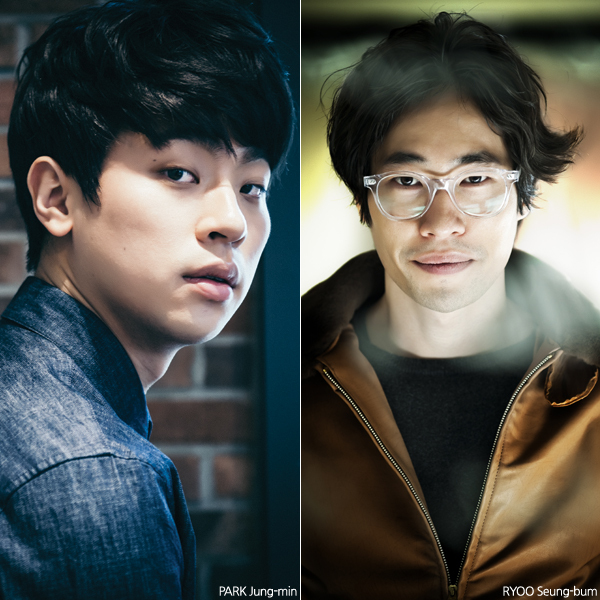 PARK Jung-min and RYOO Seung-bum are set to team up in the third installment of the hit crime series Tazza, which will be helmed by KWON Oh-kwang and produced by Sidus FNH. The Tazza series was launched with Tazza: The High Rollers by director CHOI Dong-hoon in 2006. Following that film’s massive popularity, KANG Hyoung-chul tackled the sequel Tazza-The Hidden Card in 2014. The previous films were also headlined by young stars, with CHO Seung-woo featuring in the first and CHOI Seung-hyun of K-pop band BIGBANG starring in its sequel. PARK has been going from strength to strength in recent years. After gaining wide notice in LEE joon-ik’s DONGJU; The Portrait of A Poet (2016), he appeared this year in Keys to the Heart, Psychokinesis and Sunset in My Hometown, once again from LEE Joon-ik, which is currently in theaters. Known since the start of the millennium for his youth roles, such as in his brother RYOO Seung-wan’s films Arahan (2004) and Crying Fist (2005), RYOO has been relatively quiet in recent years, appearing only in IM Sang-soo’s Intimate Enemies (2015) and KIM Ki-duk’s THE NET (2016) in the last five years. Director KWON debuted with Collective Invention, which premiered at the Toronto International Film Festival in 2015. Tazza 3 will complete casting before going into production later this year.